LYNCHBURG — The enrollment of an openly homosexual student at a prominent Baptist theological seminary is being called into question by those who wonder why the institution is seemingly overlooking immoral behavior by those it will be sending out into the ministry. As previously reported, The Atlantic recently published an essay written by Liberty University graduate Brandon Ambrosino, in which the former student outlined his personal experience of coming out as a homosexual on campus. The essay went viral, receiving 27,000 Facebook likes. It also resulted in television news coverage as local ABC station WSET talked with Ambrosino about his experience, who noted that he is enrolled as a graduate student in Liberty’s seminary program. However, the news is generating concern over why Liberty University, whose motto is “Training Champions for Christ,” is treating homosexuality — at least for Ambrosino — as a non-issue. Dr. Paul Michael Raymond of New Geneva Christian Leadership Academy and Reformed Bible Church in Appomatox told Christian News Network that he believes it is important for educational institutions and seminaries to require students to abide by a lifestyle statement. He said that all of his seminary students are required to agree to a covenant in regard to their moral behavior. Raymond stated that the principles of Christianity cannot be compromised when it comes to enrollment, and that Liberty should not be an exception. 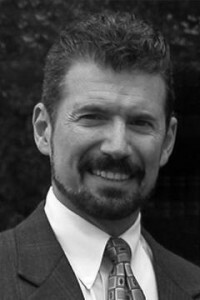 When asked what would happen if a seminary student were to embrace homosexuality when enrolled at New Geneva Christian Leadership Academy, Raymond said that the student would be counseled, but would not be permitted to continue to seek a degree as a minister for as long as they remained unrepentant. “You can tell me all day long, ‘I love Jesus,’ [but] if you love Him and His word then you will repent,” he stated. 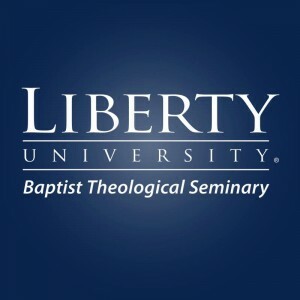 Liberty University’s Baptist Theological Seminary is not new to controversy as Ergun Caner, the former head of the seminary, was brought into question several years ago by Christian and Muslim bloggers who accused him of lying about his personal testimony of growing up Islamic. Liberty later launched a former investigation into Caner, and in July 2010, removed him from his position after finding “discrepancies related to the matters such as dates, names and places of residence” in his story. Multiple calls to the office of Liberty University President Jerry Falwell Jr., Vice President of Communications Johnnie Moore and Vice President of Liberty Baptist Theological Seminary Ronald Hawkins were not returned. Ambrosino also declined an interview.